Due to heavy rains across the Kerala, landslides are reported across the state. Flooding has hampered the transportation services across the state. Trains and buses are not operating in many regions. Even the Kochi airport was closed till 18 August as it was flooded. Water has risen to 6 ft near Cochin International Airport. Most of the houses in the area have been submerged. 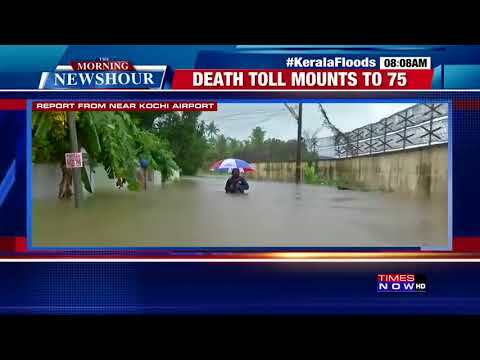 Due to massive downpour and flooding in Kerala, the death toll increased to 75 till now.